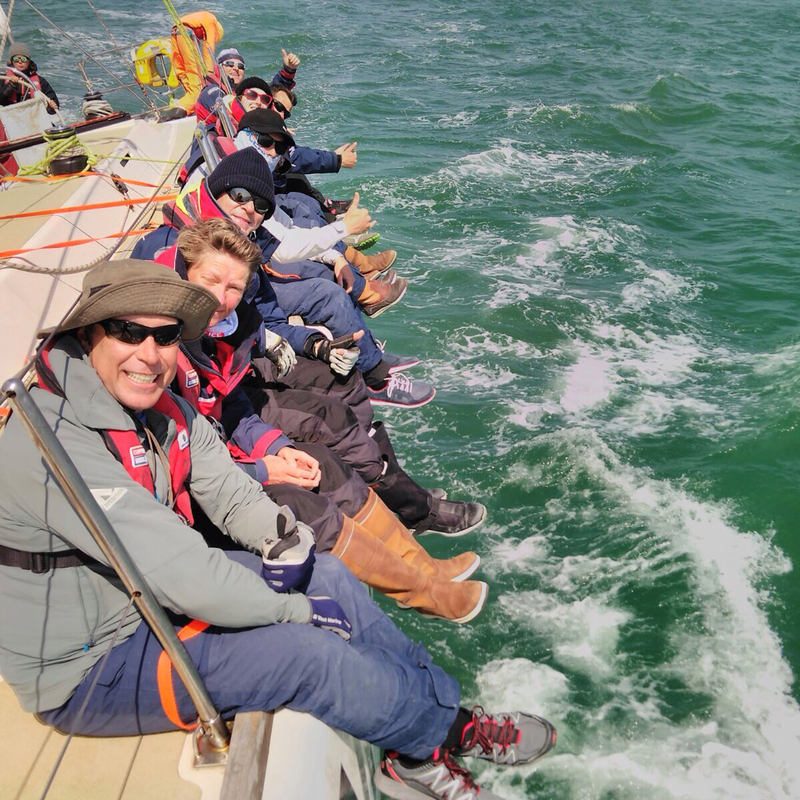 The Clipper Race is an adventure of a lifetime but it does come at a cost – a long separation from your loved ones. Luckily though for our crew, it’s true what they say that absence does make the heart grow fonder. David Wilson, 56, from Seattle, USA, will have plenty of family cheering him on from afar during his circumnavigation on board Team Roy, including one who he won’t meet until half way through his 40,000 nautical mile race. “I have three daughters, my oldest is 34, and a 30-year-old, and a 28-year-old,” says David. “Each daughter has a daughter so I have three granddaughters and now the middle daughter is pregnant and she will have the baby while I’m in Sydney in December. It was in Seattle where David first thought about using the Clipper Race to fulfil his dream of sailing around the world. While the seed was planted it was his three girls who ultimately decided things, convincing David he needed to sign up for all eight legs and spend almost a year racing across the world’s oceans. “When all this came up and I said I’m thinking of doing this they were all pushing and encouraging, saying, ‘dad you have to do this, you have to do this’. David will certainly have plenty to keep him busy now. The retired air traffic controller finished his Level Three training this weekend, and will go straight into the first Level Four course in preparation for the 2017-18 edition of the race. All this training is bringing David closer to achieving what he has dreamed about his whole life – a full circumnavigation. “I read Robin Lee Graham’s book ‘The Dove’ when I was 14 and ever since then I have wanted to sail around the world. I was fascinated by sailing but I didn’t really get involved in sailing until I was in my mid to late twenties when I bought a boat and taught myself to sail. “I had been a pilot so I was able to transfer that knowledge of the wing and flying to the sail. “I bought a 27-foot boat and I put my wife and three kids on it and scared them while I learned to sail because it was pretty much ‘let’s go out there and work this out’. We had a few terrifying examples, in fact my wife wouldn’t even get on a boat for years after! 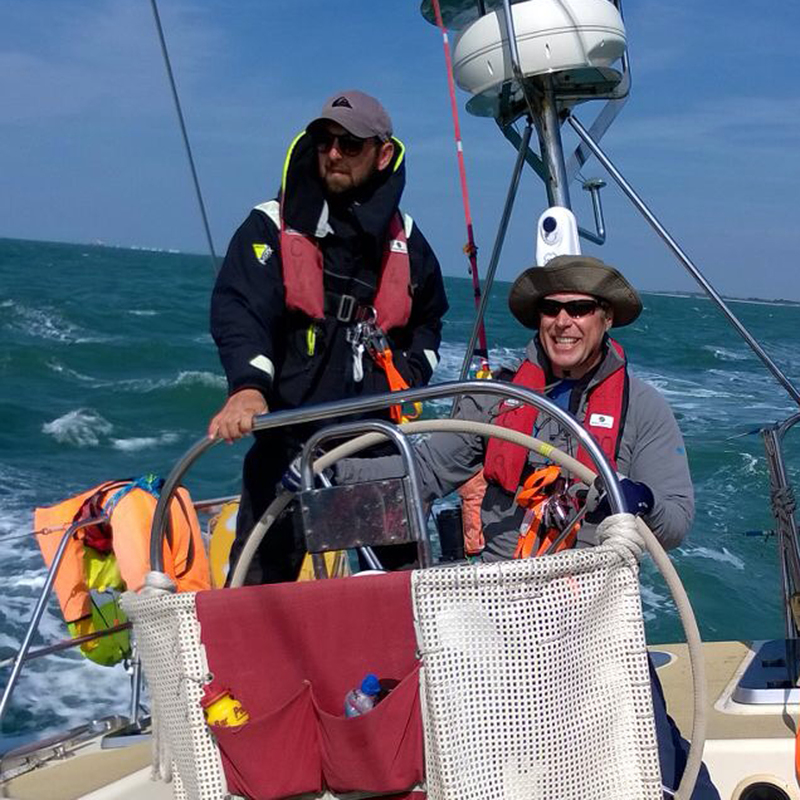 David’s wife sadly passed away before the pair could sail the world together but he will still be able to follow through on their plans when the Clipper Race fleet departs Liverpool on 20 August. And while he is looking forward to every minute of his eleven month journey, sailing into his hometown, and being greeted by his daughters and granddaughters, will be the standout highlight. “Seattle is going to be the most exciting port for me. Waiting for the port to be announced I was on pins and needles. “All my friends and my family are going to all come down and see me in the boat when we arrive. Want to join David in the ultimate ocean adventure? There are still limited places available to take part in the Clipper 2017-18 Race and applications are now also open for the 2019-20 edition. If you think you have what it takes to race across the world’s oceans, then apply here.